Empty Bowls is our signature event that takes place in the Spring. As of 2015 we have held nine Empty Bowls events in the Plowshares Empty Bowls is our signature event that takes place in the Spring. As of 2015 we have held nine Empty Bowls events in the Plowshares Empty Bowls is our signature event that takes place in the Spring. 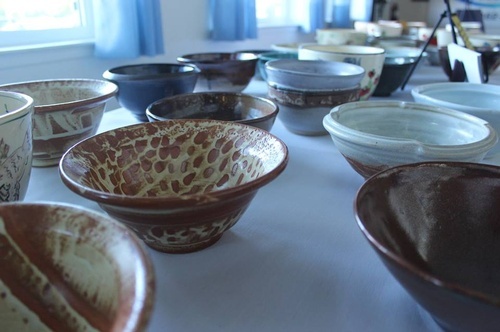 Jan Hoyman Studios, Doug Browe and the Ceramics Club of Mendocino College, and MICA create bowls for guests to take home with them after enjoying a variety of homemade soups, salad, appetizers, breads and desserts. We have a silent auction, live auction, Fund a Need auction, and raffle of great prizes donated by community members and businesses.